I keep on publishing my collection of Christmas worksheets designed to help my young students learn and memorize the English vocabulary related to this holiday. 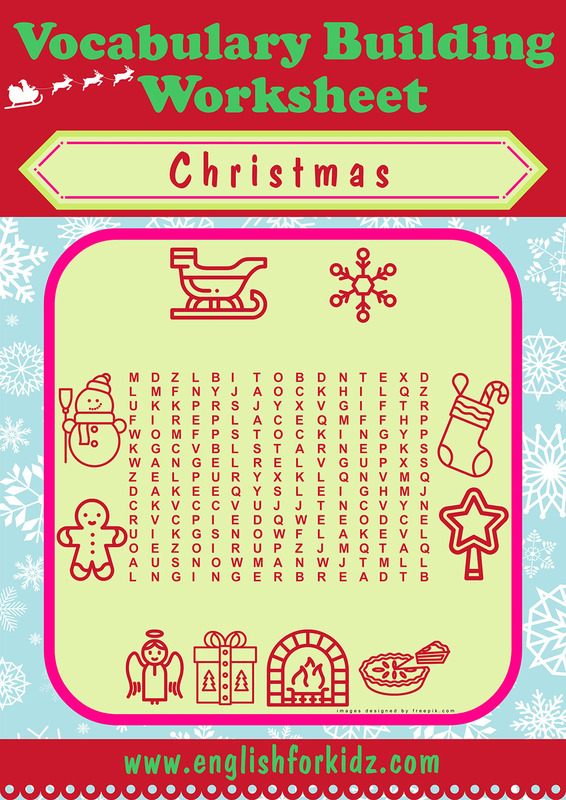 My ESL Christmas kit includes 50+ printable flashcards, worksheets offering such assignments as crossword puzzles, word search, matching words to pictures and pictures to words as well as a Christmas dominoes and bingo game. This blog post offers my Christmas word search worksheets featuring 48 English nouns. 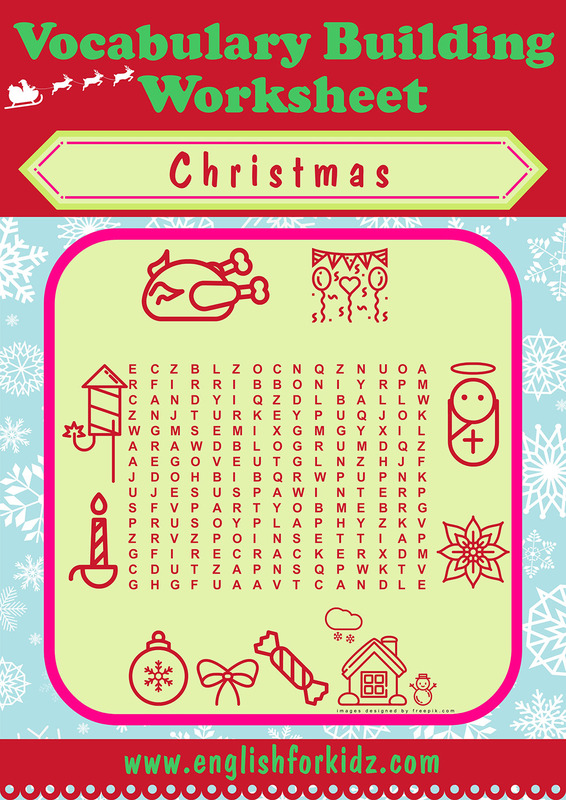 I hope ESL teachers and their students will enjoy using these vocabulary building worksheets for lessons dedicated to Christmas. 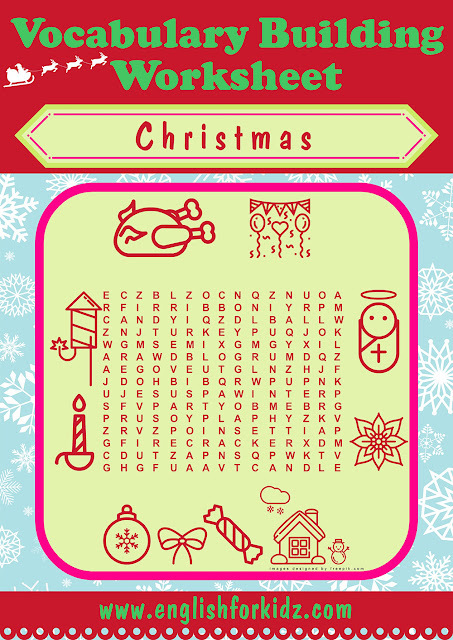 Christmas word search worksheet for words turkey, party, Jesus, poinsettia, winter, candy, ribbon, ball, candle, firecracker. 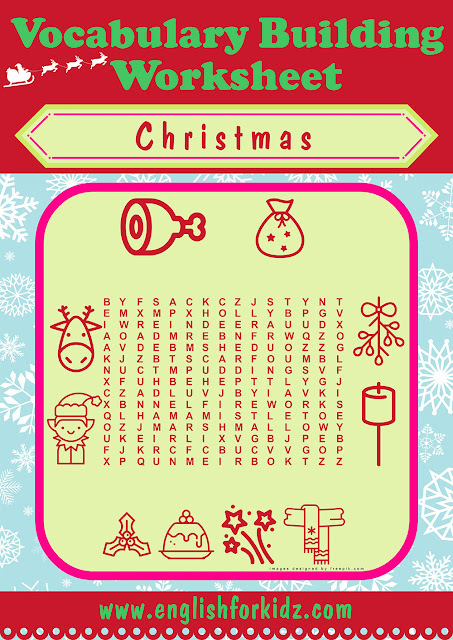 Christmas word search worksheet for words ham, sack, mistletoe, marshmallow, scarf, fireworks, pudding, holly, elf, reindeer. Christmas word search worksheet for words sleigh, snowflake, stocking, star, pie, fireplace, gift, angel, gingerbread, snowman. 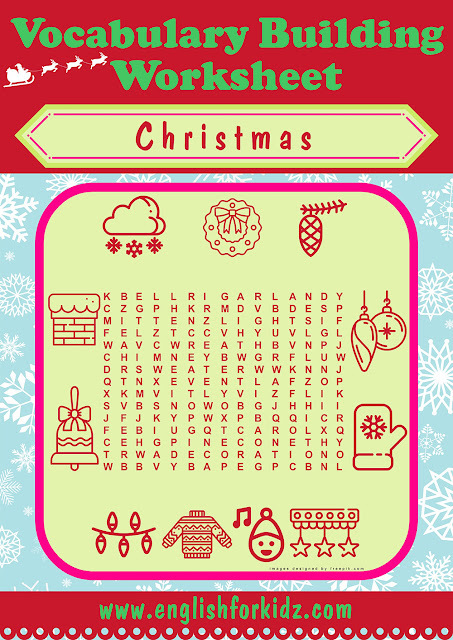 Christmas word search worksheet for words snow, wreath, pinecone, decoration, mitten, garland, carol, sweater, lights, bell, chimney.